Wednesday, April 17th, 2019, 5:00 p.m. @ Canyon Ridge High School, Room # 301, 300 N. College Road, Twin Falls, Idaho. (j) To consider labor contract matters authorized under section 74-206 (1)(a) and (b), Idaho Code. The Board of Trustees of Twin Falls School District No. 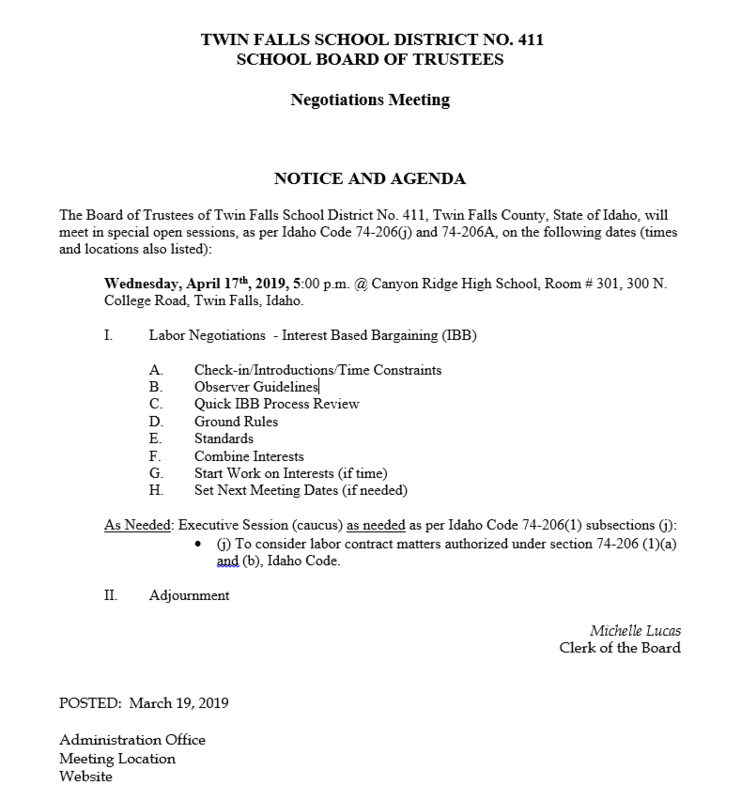 411, Twin Falls County, State of Idaho, will meet in a special executive session board meeting from 10:00 a.m. to 12:00 p.m., Tuesday, April 9, 2019 at the Twin Falls District Office Board room located at 201 Main Avenue West, Twin Falls, Idaho.